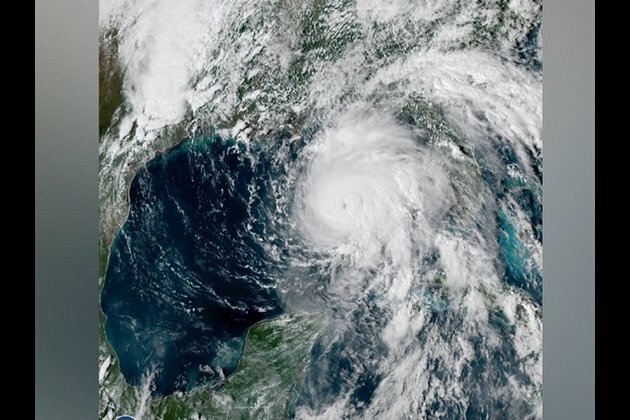 Tallahassee (Florida) [U.S.A.], Oct 10 (ANI): Hurricane Michael has now strengthened into Category 4 as it speeds towards Florida Panhandle. It upgraded from category 3 to 4, hours before making an expected landfall around Wednesday afternoon, reported CNN. Following its strengthening, Hurricane Michael will now be one of the strongest storms to hit Florida Panhandle in recent history. Terming it as "extremely dangerous", the National Weather Service has deemed the storm as life-threatening. Torrential rainfall is expected along the northeastern Gulf Coast. The advisory comes after US President Donald Trump declared a state of emergency in Florida by extending federal assistance to supplement state and local response efforts due to the emergency conditions resulting from Michael. "The President's action authorises the Department of Homeland Security, Federal Emergency Management Agency (FEMA), to coordinate all disaster relief efforts which have the purpose of alleviating the hardship and suffering caused by the emergency on the local population, and to provide appropriate assistance for required emergency measures, authorized under Title V of the Stafford Act, to save lives and to protect property and public health and safety, and to lessen or avert the threat of a catastrophe," a statement from the White House said. The statement further said that Thomas J McCool was named as the Federal Coordinating Officer for recovery operations in the affected areas. Trump on Tuesday warned residents about the hurricane and requested them to listen to local officials and stay safe.